Two categories fared better – Timber & Joinery Products (+9.6%) and Landscaping (+7.8%). Plumbing Heating & Electrical (+3.4%) and Heavy Building Materials (+2.4%) were among six categories that grew more slowly. Despite having two more trading days, overall sales in Q3 were 0.3% lower than Q2. Timber & Joinery Products (+4.4%) did best. Average sales a day (which mitigate for trading day differences) were 3.4% lower in total than Q2. 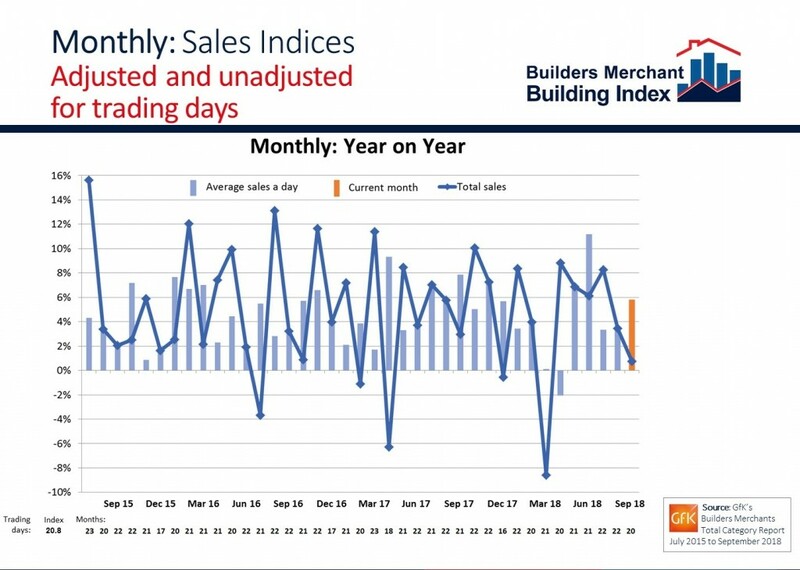 September sales showed only 0.8% growth compared with the same month last year but were affected by one less trading day. Timber & Joinery Products (+6.6%) was strongest. Average sales a day across all categories were 5.8% ahead of September 2017. The first nine months of 2018 were 4.0% ahead of the same period in 2017. Plumbing Heating & Electrical (+8.1%) did best. The rolling 12 months October 2017 to September 2018 were 4.6% above the same 12 months a year earlier, with Plumbing Heating & Electrical (+8.0%) strongest. September’s BMBI index was 118.4, with one less trading day. Timber & Joinery Products (129.3) was the strongest performer, with landscaping (122.8) close behind. 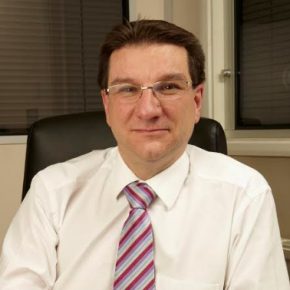 Paul Rivett, MD at Heatrae Sadia and BMBI’s Expert for Water Heating (pictured), commented: “The third quarter continued to be a challenge for the water heating market overall affected by the prolonged hot summer. “Trading across the water heating product sector was at the same level as the previous two quarters, but third quarter performance improved after a slow start in July. “The market for domestic cylinders slowed, going negative in September when compared to September last year. However, bathroom installations and new private housing demand was comparable with 2017, so there should be sufficient momentum to keep the market going over the coming months. “Water heating sales continued in line with last year. Boiling and chilled water dispensers for commercial applications should grow as their benefits become better recognised. For instance, pressure to eradicate single-use plastics is resulting in initiatives to install point-of-use water dispensers instead of bottled water. “Electric space heating also showed growth, as ageing gas boilers are replaced with electric equivalents. This is driven by the stricter regulations associated with inspection hatch requirements for gas boiler flues in flats and apartments: it is easier and less costly to replace the gas boiler with an electric equivalent. Running costs can also be lower than expected if the right electricity tariff is used. “While there will continue to be a sizable UK gas boiler market, the trend – driven by legislation – is towards greater use of low carbon solutions such as air source heat pumps, heating interface units (HIU’s) and central plant heating sources.